There are metal bands and then there is Lamb of God. A new breed of modern American metal was erected in the 2000s, with Lamb of God serving as an architect, designing the blueprint that would become the standard by which bands that came after them would be judged. It was Lamb of God who rewrote the rules, devised a new playbook and raised the standard. The genre was forever and irrefutably changed by what the band has done. There's a whole host of reasons that Lamb of God remain at the top of their game in 2013, while others have faded and fallen away. The album Resolution is evidence of the band's stronghold on heavy metal. None can match it, nor do they come close. With the recent exoneration of front man Randy Blythe from all charges in the Czech Republic, Lamb of God announce further tour dates in support of the album Resolution. 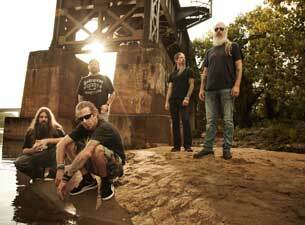 Lamb of God has earned their place in the metal pantheon.